Every home builder, contractor and designer worth their salt will tell you that the materials you choose when you’re building your home are just as important, if not more important, than the design itself. If your home isn’t built with quality materials, you could have big problems down the road. One thing you should always make sure to do when you’re building a home is choose building materials that will resist moisture. Moisture-resistant building materials will help protect your home from mold. If you’re building in an area that’s prone to flooding, there are certain types of materials you can use that will give your home an extra line of defense against mold-causing moisture. Examples of materials you can use that will resist moisture and dry quickly include concrete, concrete tiles, non-porous stone like slate, wood like redwood and cedar, and steel. Brick is also moisture-resistant. 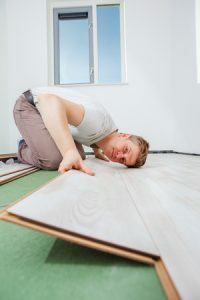 When it comes to the floors, consult an expert about using the proper materials, and ask about using rubber sheets or epoxy as an underlayment. Be sure to choose a moisture-resistant insulation as well, so that the space between the outside of your home and the inner walls remains dry and clean. You can also choose mortar, paint and window coverings that will help prevent moisture buildup on walls and floors. Protecting your home from moisture intrusions is a big job, especially if you live in areas that are flood-prone. Taking these extra steps to choose moisture-resistant building materials may seem labor intensive, but it will pay off in the long run. For more information on how to keep your home free of mold, contact the specialists at Jun’s Mold Remediation today.